The funeral service for Charlene “Char” Sobek, 71, a longtime Stewartville MN resident, will be at 11:00 A.M. on Tuesday (October 2, 2018) at Zion Lutheran Church in Stewartville with Rev. Byron Meline officiating. Burial will follow in Woodlawn Cemetery in Stewartville. Mrs. Sobek died unexpectedly on Thursday (September 27, 2018) from injuries suffered in an accidental fall in her home. Charlene Kay King was born on January 19, 1947 in Racine Twsp., Mower County, MN to Floyd and Lucille (Fimon) King. She grew up in Racine and attended Stewartville schools, graduating from Stewartville H.S. in 1965. Charlene was married on November 27, 1965 at the Racine United Methodist Church to James R. Sobek. The couple lived in Stewartville, where they raised their daughters and have made their home for all 53 years of their married life together. Char was a mother, homemaker, and later in life provided day care for children of close friends or family. Jim was head of security for IBM in Rochester for 30 years, then supervised security at Apache Mall until his retirement. 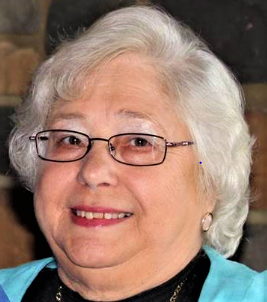 Char was a member of Zion Lutheran Church in Stewartville and was an active volunteer with the Stewartville School District while her daughters were growing up. She was an avid reader, followed Days of Our Lives, enjoyed rides with Jim in the convertible Camaro, and jumping into her backyard swimming pool. Char enjoyed visiting with friends and loved time spent with her family, especially her grandchildren. Char is survived by her husband – Jim and her 3 daughters – Jolynn (Dan) Musel of Elizabethtown, KY; Jackie (Lanny) Evans and Christina Reese both of Stewartville; 4 grandchidren - Brad Evans, Josh Evans, Joseph Sobek and Amber Reese; sister – Phyllis Crowley of Rochester; sister-in-law – Sharon Lowe of Mazeppa, MN and nieces and nephews. She was preceded in death by her parents, her sister – Marion Winter and brother- Luverne “Butch” King. A time of visitation for family and friends will take place from 5 to 7:00 P.M. on Monday (October 1, 2018) at Griffin-Gray F.H. in Stewartville and 1 hr. prior to the service at the church on Tuesday morning. Char’s Family suggests memorials to Gift of Life Transplant House in Rochester at gift-of-life.org. Arrangements are with Griffin-Gray F.H. in Stewartville. On-line condolences and memories of Char are welcome.